If you are in search of the perfect Vanilla Icing Glaze to top your cookies, bundt cake, scones or donuts, look no further! 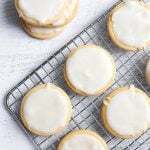 This Vanilla Icing Glaze is sweet and has a nice vanilla flavor. I find myself wanting to ice and glaze my food, because I like this so much! What’s really nice about this recipe is that you can make it lemon flavored, orange, etc. Just switch out the vanilla for your favorite extract or flavoring. You may need to test it with a smaller amount, then add more as desired. 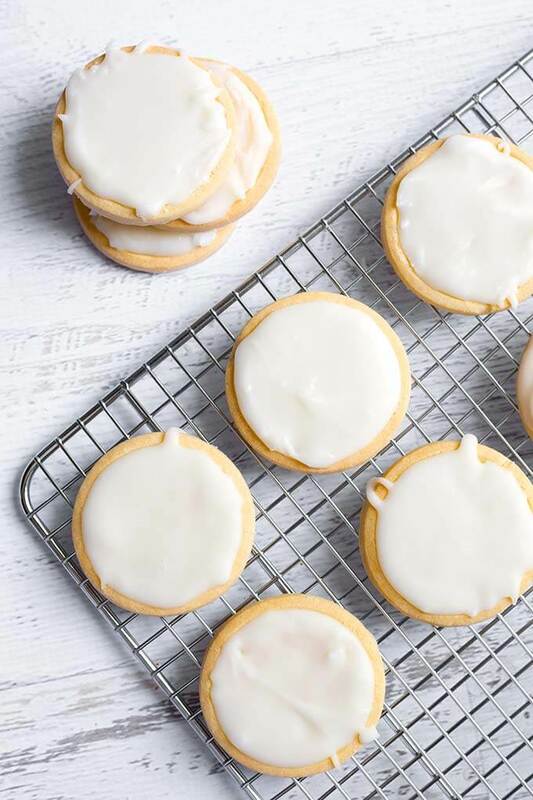 Use Vanilla Icing Glaze on cookies, scones, donuts, bundt cakes, cinnamon rolls, birthday cakes, sweet breads (banana, chocolate, zucchini, etc. ), or any sweet treat you like! 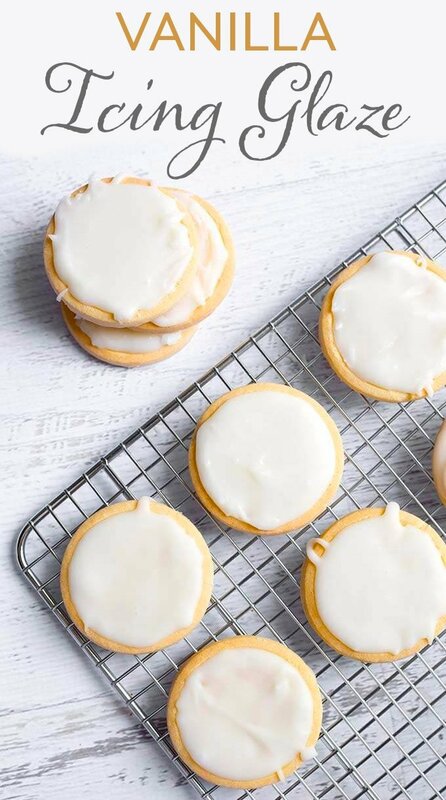 This icing glaze sets up solid, but not too hard. I think the texture is really nice to bite in to. Vanilla Icing Glaze is a simple vanilla flavored glaze that is delicious on cookies, bundt cakes, cinnamon rolls, scones, and donuts. Ready in minutes! In a medium microwave safe bowl, add the butter, corn syrup, vanilla, milk, and salt. Microwave for 15 seconds, stir, and microwave another 10 seconds, if needed, to melt butter, and stir to combine. Stir in the confectioners sugar until dissolved. Add more milk if too thick. Add more powdered sugar if too thin. 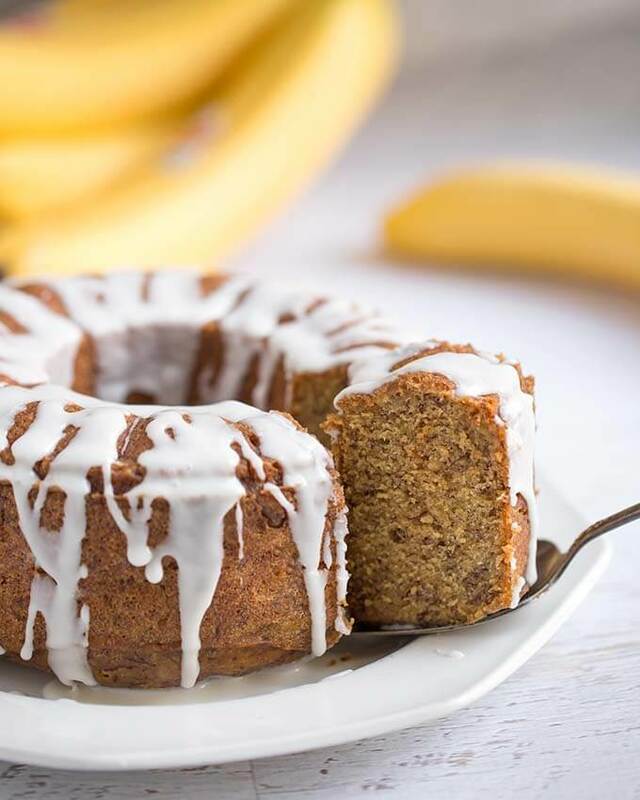 This glaze was just what I needed for my bundt cake. It’s the perfect consistency. I used a little more milk, about a teaspoon, to make it pretty thin. Thanks for the recipe! My icing keeps turning clear (instead of white) when I pour it on. What am I doing wrong? Hmmm, I would try adding more powdered sugar, or mix it longer with a whisk. Please let me know if this helps! Also, this is not a completely white icing, but it shouldn’t be clear either. Would you recommend this icing for coating petit fours? Yes, this would be nice for them as it dries. I’m looking for a frosting that drys crunchy.Would this work? I don’t know if is crunchy, but it does dry solid.